This outstanding and often admired 98ha property is located approximately 10 kilometres north of Cambridge in close proximity to excellent local schools including Goodwood primary school and St Peter's School. 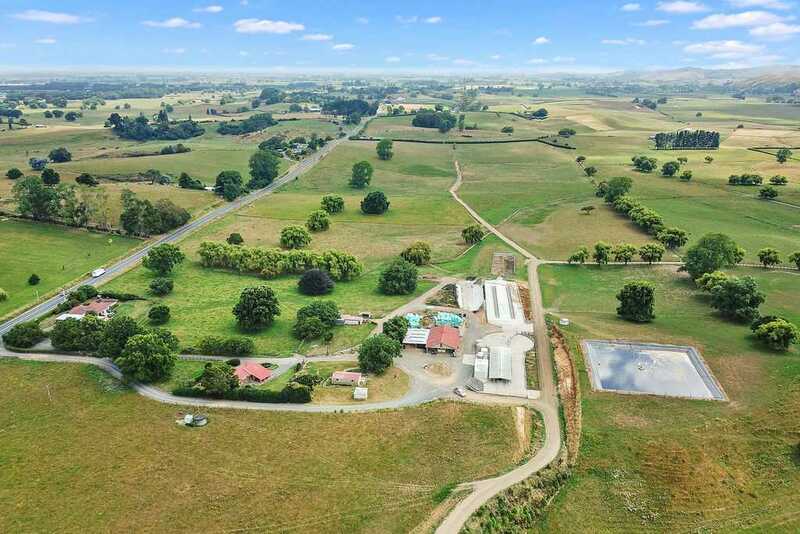 With 4 titles, and quality infrastructure, this pretty property offers the discerning purchaser a multitude of options including dairying, equine, future subdivision or development alongside the nearby Hautapu interchange project. The property is currently run as a highly productive autumn calving dairy unit, supplying Open Country Dairy. The property is predominantly flat with some easy undulating areas and is adorned with mature trees. For the horse lover, this property comes complete with 2 stables and is located in the heart of New Zealand's leading equine province. While the farm is managed as one seamless dairy operation, the property is comprised of two units that could be sold independent of each other. The first off Victoria Road and the second off Hiwi Road. The Victoria Rd Property of 65 hectares consists of 3 Titles. There are 2 brick homes. The main home is a substantial brick dwelling, complimented by a smaller second brick home. There is also a stand-alone, self-contained single bedroom flat. The buildings are all nestled in parklike surroundings. The dairy infrastructure is of the highest quality with a 32 aside herringbone milking shed complete with a flush wash feed pad and a weeping wall effluent system. Approximately 30 hectares of land is irrigated by the effluent system. The pastures serviced by two deep well bores are all of high quality, being well fertilised and maintained. The Hiwi Road Property lies to the north and consists of a single 34 hectare Title. The home is substantial and set in mature gardens, complete with its own all weather tennis court. The Property is self-contained with its own electric fence system and bore water. It has an extensive range of farm buildings and facilities, including cattle yards and crush. The Vendors are open to receiving offers on the Property in its entirety or parts thereof. To obtain a comprehensive Memorandum of the Property please contact Kevin Deane in the first instance. Effluent Disposal: Uprated - Lined pond, weeping wall.